Apple’s 10th anniversary iPhone 8 or iPhone X (rumoured to be named X) may be launched later than September this year, analysts claim. Speculations are rife that even if Apple showcases the phone in September, shipping will be delayed by several weeks. 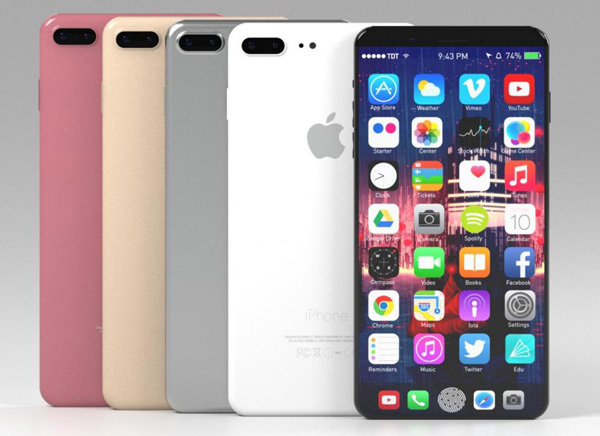 Apple is expected to launch the new iPhone 7S and iPhone 7S Plus along with traditional 4.7-inch and 5.5-inch and an all-new 5.8-inch variant of the iPhone 8 with an OLED display in its September event. The research arm of Barclays also has similar predictions for the Apple iPhone 8. Further, Chinese-language Economic Daily News recently said the “iPhone 8” might not launch whatsoever until October or November, as suppliers are supposedly encountering “technical issues” related to the display lamination process, while challenges exist in integrating the 3D sensing front camera system. Till now, rumours suggest that the iPhone 8 will come with better water and dust resistant abilities, near bezel-less display with 3D sensing, augmented reality-based camera and a stainless steel body. The 10th anniversary edition is also expected to be priced around $1,000.